The Great Pretenders. Laura Kalpakian. Tirgearr Publishing. March 2019; Kindle mobi, 283 pp. ; ASIN: B07N974NW5. Roxanne Granville is a spoiled, rich granddaughter of a theatre and movie powerhouse. Her mother dies in the very beginning of the story and her resentment of her grandfather’s lover is beyond words. She can’t understand how Denise could replace Julia because Roxanne really has no idea what a love affair with commitment is and how it could change. Therefore, she announces she will have nothing to do with him until he drops Denise. His response is laughable, a fairy tale in the land of the rich! So what does a woman with fame to her name do when not living in a beach home in Malibu? She has no real skills but isn’t shy on ideas. She decides to be a book agent, supporting and selling the types of books that are turned into shows and movies. Roxanne proceeds to do something daring, something that carries the chances for amazing success as well as the chances of looming disaster. Hundreds of former writers and actors were fired when Joe McCarthy’s Committee for Unamerican Activities was conducting its investigations and congressional testimonials, rooting out anyone and everyone even slightly associated with the Communist Party. Those who refused to admit involvement with Communism or who refused to name other people involved pleaded the Fifth Amendment. The results were tragic and devastating! Now Roxanne, who deeply feels for these talented but now unemployable writers, begins to sponsor their written works under the names of anonymous, unknown writers. Anyone with half a brain knows this but stays silent; Roxanne is admired for her guts and/or stupidity in proceeding with this plan. Will it work out for all involved? Then Roxanne goes one step ahead with trouble and falls in love with an African-American guy, Terrence Dexter during a time when Martin Luther King and Rosa Parks are protesting openly about the Jim Crow laws in vogue. Roxanne grows up fast when she sees in Terrence how black people live with daily prejudice, laws and abuse based on racial discrimination. In the end of this fictional account, one may say that differences between characters reach a semi-satisfactory resolution but definitely not the solution all are hoping to attain. Roxanne comes across as a spunky, daring woman but her cleverness remains hidden below the surface. Only when life’s circumstances become beyond her control does the reader begin to appreciate Roxanne’s true life-changing stamina in many notable ways. 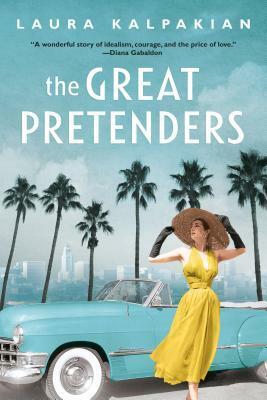 The Great Pretenders is a remarkable story describing turbulent historical times and how these difficulties were met by Hollywood and feisty, challenging characters! Good read!!! Law and Addiction: A Legal Thriller. Mike Papantonio. Waterside Productions. April 2019. pb, 312 hp. ; ISBN: 9781939116468. Opioid addiction has become a national crisis! More cases of overdose fill the news on a weekly basis. Police regularly carry and administer Narcan for overdosing addicts. Meanwhile, as Mike Papantonio has so carefully and deftly delineated in this fictional account of reality, attempts to deal with the problem on a local and national basis continue, attempts to stem a raging flood of addiction and death. He then connects to a highly successful lawyer with a dynamic record of experience in suing Fortune 500 companies. They begin by suing companies who have made a killing (literally and figuratively) in West Virginia and Ohio. Readers will be riveted to the course of each court phase and the wiliness of Jake and Deke, his attorney second chair, in challenging big shot attorneys. Readers, however, won’t be ready for the methods used to suppress and then shut Jake up. No spoilers here. Suffice to say, Jake meets Blake’s former girlfriend who is now addicted to Oxycontin and helps her through her gritty efforts to withdraw from her addiction. He himself is about to undergo empathic thoughts and feelings after hoodlum attempts to bribe his efforts fail. The reader also meets several characters who deal and distribute drugs, individuals who are caught innocently in the dragon net of illegality and can’t get out to survive! All in all, the reader can anticipate the ending but that’s only after brutality and other machinations have all failed to stymie Jake’s efforts. 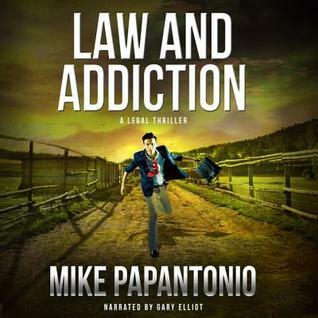 Mike Papantonio has penned a necessary legal thriller that everyone should read. The question readers are left with is “Where do we go from here?” Highly recommended contemporary fiction!